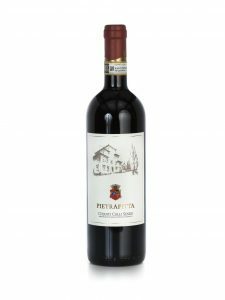 The Pietrafitta winery has been producing wine over 450 years at the same location. 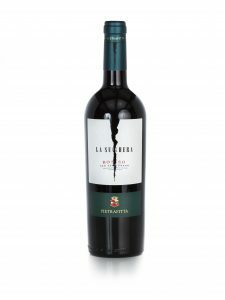 In addition to being one of the oldest estates, Pietrafitta is one of the most famous and respected producers in the region. The history of the winery goes back to the times of Michelangelo and Dante. In fact, both Michelangelo and Dante refer to Vernaccia in their writings. Probably, the wine was produced at Pietrafitta. The winery is located at the top of a hill that overlooks the town of San Gimignano. Pier Paolo Muri oversees the winery operation and continues the centuries old tradition of producing fine Tuscan wines at the estate. Pietrafitta Vernaccia was one of Italy’s first DOC white wines. 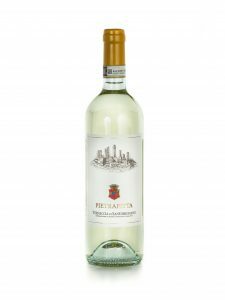 Pietrafitta has combined new and modern winemaking techniques with age old traditions to produce the best Vernaccia possible. 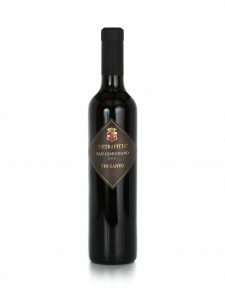 This wine is fresh and fruity but exhibits the full-bodied character associated with the Vernaccia grape. The Sienese Hills growing district produces some of the finest Chianti wines from the region and is almost always more affordable than Chianti from the neighboring Classico district. This Chianti is produced in a fruit forward style; easy to drink yet with the complexity and structure of the Sangiovese grape. Alc. 12.5% by vol.) Available in both 750 ML and 1.5 L.